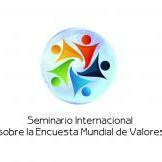 The “International Seminar on the World Values Survey” will be held at the University of Almeria, on 24 and 25 November 2014.The idea of organizing this meeting part of the interest in the Area of Sociology to the release of the recent release of the sixth wave of the World Values Survey (http://www.worldvaluessurvey.org), as well as the work in progress and published using this instrument in the field of Spanish and international. The interest in the World Values Survey is not new in the area of Sociology of the University of Almería. From a decade ago, and encouraged by the Professor of Sociology (Gonzalo Herranz de Rafael), some of the members of the area (Pilar Rodríguez Martínez, Juan Sebastián Fernández Prados and Juan Carlos Checa Olmos) have been carried out several stays at the University of Michigan, and specifically in the Institute for Social Research, invited by Ronald Inglehart. With the passing of the years, the members of the area have started using The World Values Survey (WVS), both in his teaching as in his research, because it is one of the best global research about the changes in values and their impact on the social and political life. The fact that the World Values Survey is based on nationally representative surveys in more than 100 countries which contain almost 90 percent of the world’s population, allowing for comparisons between countries and/or regions. And, since I have conducted six waves of surveys (from 1981 to 2014), the social problems can be addressed through longitudinal analysis. In addition, since the microdata of the various waves are offered free of charge on its website, it can be said that it is a tool that enables social scientists to work with no additional cost, at any time and without the need to collect or request data. With the same spirit of participation that is observed on the part of the drivers of the World Values Survey, this seminar is formulated with a nature open and dynamic. It is part of a basic program but, in addition to the presentations planned, will accommodate the proposals of researchers who have worked on the World Values Survey. 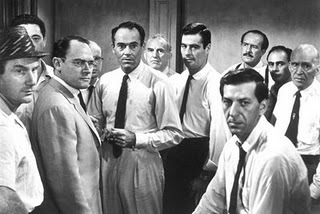 Previous Article Seminar-Workshop Are Discriminated for being children?